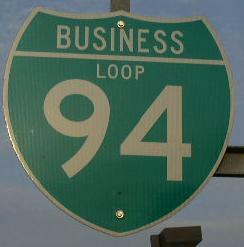 Business Loop Interstate 94 at Albion is one of the shorter business loops of Interstate 94 in Michigan. This is also one of the lesser dense towns that a business loop of I-94 passes through. BUSN Loop I-94 passes through the following town in Jackson-Calhoun Counties. BUSN Loop I-94 is multi-plexed in Jackson-Calhoun Counties. Michigan State Route 99, near Albion. BUSN Loop I-94 intersects the following highways in Jackson-Calhoun Counties. 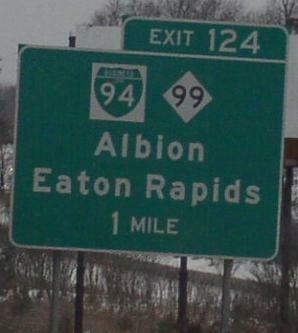 Michigan State Route 99, at Albion.